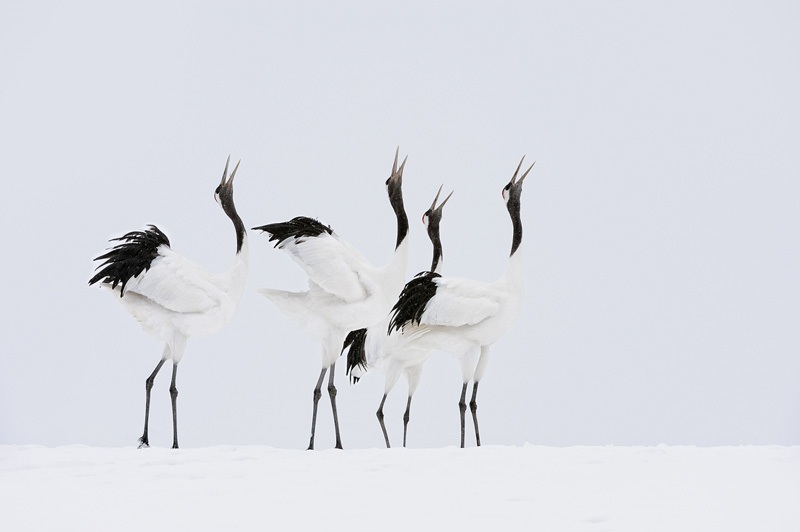 The Japanese crane (Grus japonensis), or red-crowned crane, is the second rarest species of crane in the world, and extremely elegant and pretty. Their mating dances and calls are a joy to watch and photograph. And to listen to. In this image everything came together. It had been snowing heavily, the sky was completely overcast, the light was soft and all around me, the foreground was white, and the birds performed in the perfect spot as though I had trained them to do so.